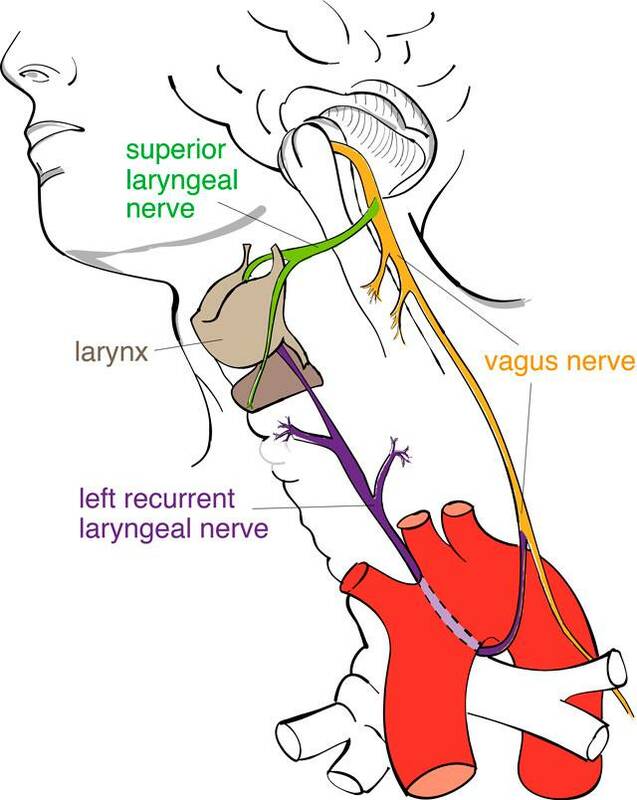 The recurrent laryngeal nerve is a branch of the vagus nerve that supplies nerve fibers for movement and sensation of the vocal cords. This nerve follows a long course descending from the base of the skull into the chest, where it loops around the aorta (left side) or the subclavian artery (right side), then ascends again in the neck, running posterior to the thyroid gland before entering the larynx. Injury to the nerve at any point along its course may lead to vocal cord paralysis.